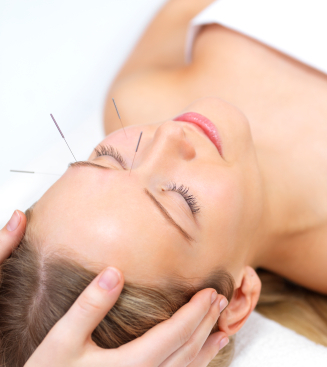 Acupuncture has been used for over twenty-three centuries in China for the treatment of a broad spectrum of acute and chronic health disorders. It involves the insertion of hair-thin needles into specific points on the body to enhance the flow vital energy, called "Qi" (pronounced "chee"). One of the fundamental principles of Chinese medicine, acupuncture emphasizes the free flow of Qi, or vital energy. Everything starts with Qi. Like the wind, Qi itself cannot be seen, but its effects can be observed. Qi in the body can be observed as emotions, movement, digestion, thoughts, etc., and the proper flow of Qi is important for physical, mental, emotional, and spiritual balance. Sometimes the flow of energies within the body become blocked or imbalanced, and symptoms, disease, illness, and/or pain can arise. According to the Chinese, pain or illness is an indication of an improper or obstructed flow of Qi. The insertion of acupuncture needles into specific points on the body is used to facilitate and enhance this flow of vital energy, called "Qi" (pronounced "chee"). By assisting to restore proper flow of Qi, acupuncture works to help increase resistance, enhance the immune system, and reduce inflammation, spasms, and pain. Ultimately, the holistic goal of acupuncture therapy is to assist in rejuvenating and restoring well-being to mind, body and spirit.